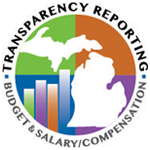 The Annual Budget and Transparency Reporting legislation is an opportunity for the Battle Creek Area Learning Center to share, with the public, information on how resources are utilized. The Battle Creek Area Learning Center budget is adopted by a publicly elected local board of education no later than June 30 of each year. This budget is posted on the website within 15 days of adoption. Any subsequent budget amendments are also posted within 15 days. The Battle Creek Area Learning Center does not directly employ staff; rather it has a Services Contract with Access Point to provide management, services, facilities and materials for our PSA. As a result, the Battle Creek Area Learning Center does not have any Bargaining Agreements or Employer Sponsored Health Care Plans. Each year, the Battle Creek Area Learning Center is required to hire an independent auditor to complete a comprehensive audit which evaluates and reports on the financial condition of the district. The audit includes a thorough analysis of all business operations as well as a compliance review for the requirements of the many programs we operate. 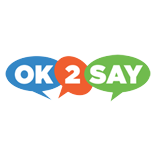 Because our staff is employed by Access Point, we did not request medical benefit plan bids. The Battle Creek Area Learning Center does not directly employ staff; rather it has a Services Contract with Access Point to provide management, services, facilities and materials for our PSA. As a result, the Battle Creek Area Learning Center does not have any reimbursement to employees. No reimbursements were made to Board members during the 2017-2018 fiscal year. The Battle Creek Area Learning Center does not directly employ staff; rather it has a Services Contract with Access Point to provide management, services, facilities and materials for our PSA. For the purposes of this required reporting, this section will include compensation information for the position of Superintendent as provided to us by Access Point. There were no costs associated with lobbying during 2017-2018. The Battle Creek Area Learning Center has not incurred a deficit. The Battle Creek Area Learning Center does not have district credit cards. 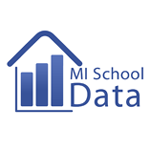 Because our staff is employed by Access Point, Salary Data is not available on the Michigan School Data Dashboard and School Report Card. For the purpose of this required reporting, this section will include information for the positions of Superintendent and Teachers as provided to us by Access Point.